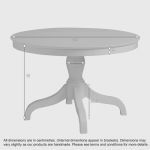 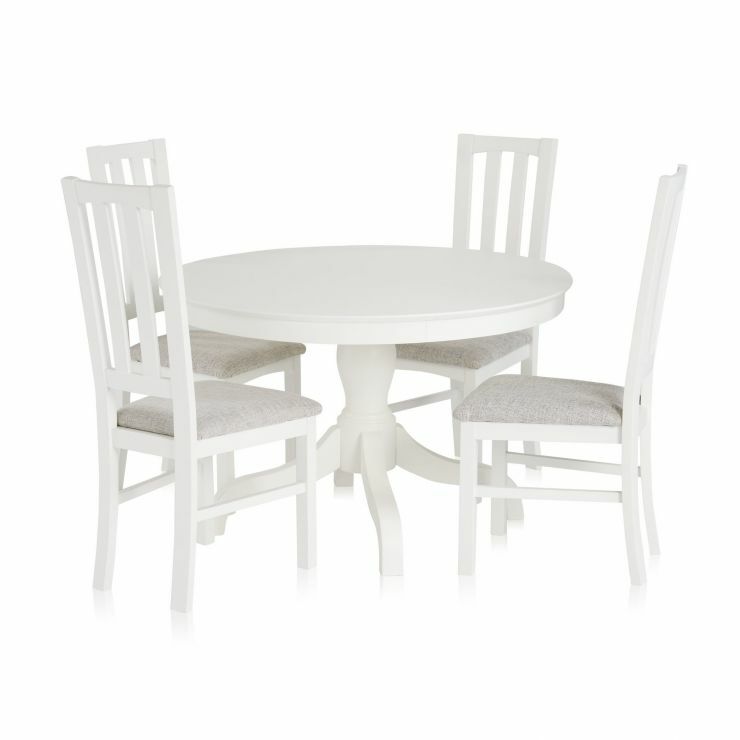 This white dining table set is made up from the Shaker round table and four chairs with grey seat pads. 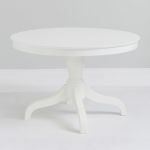 This pedestal table and chairs will brighten up any dining space or breakfast room. 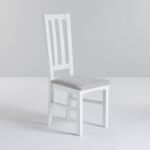 Simple, pleasing lines and a smart, smooth white finish are easy on the eye. 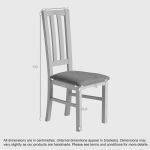 The white paint works with many interior styles, and don’t forget the rest of the Shaker range, all made from solid hardwood. 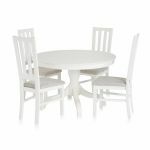 Furnish your dining room completely in white furniture, or mix this white round table and chairs set with some natural or rustic oak.